If you or a loved one in California was harmed in a Chevrolet, Pontiac, or Saturn that has since been subject to the GM ignition recall you may be entitled to damages. 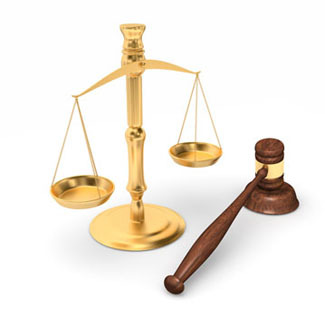 Our attorneys provide free no-obligation California GM injury lawsuit case review. We do not charge attorney fees unless you receive compensation and you are under no obligation after your initial consultation. A General Motors ignition injury lawsuit was filed for the death of a Georgia nurse in 2010. The case, Brandt v. General Motors LLC, which was filed in U.S. District Court in the Southern District of Texas, brought forth evidence, in the form of company documents and depositions, proving that General Motors engineers were aware of the ignition switch defect as early as 2004. This means the company knew the ignition system was dangerous in its small car line before the 2005 models hit the dealership showrooms. A conscious choice was made to overlook the ignition defect in the interest of profits, even if it meant the loss of life for some GM customers. This particular GM injury lawsuit, which secured evidence of the GM ignition cover-up, is an important precedent for other GM injury lawsuits to follow. California GM injury lawsuits can be filed by persons and the family members of persons in California who were harmed in a recalled vehicle including those in the Pontiac, Chevrolet, and Saturn lines. California Chevrolet, Pontiac and Saturn injury lawsuits allege that General Motors had a responsibility to warn customers of the ignition switch hazard through a recall. By keeping silent about the defect, GM put millions of Americans at risk by no fault of their own. California GM injury lawsuits assert that a conscious choice was made to overlook the ignition defect in the interest of profits, even if it meant the loss of life for some GM customers. California GM injury lawsuits stem from a defect with the ignition system that causes the affected vehicles to lose power while being driven. Loss of power disables the brakes, steering, and airbags, meaning the driver can do little to prevent a potentially serious accident. California GM injury lawsuits can be filed by or on behalf of persons who were harmed or killed when their vehicle lost power due to an ignition defect. A total of about 6 million vehicles have been recalled during 2014 related to ignition safety problems. If you or a family member in California was harmed in a car accident in a vehicle that was later subject to GM ignition recalls, you may have legal grounds to file a California General Motors injury lawsuit. Filing a lawsuit is the only way to secure compensation for the medical bills, pain, suffering and loss that have resulted from a car accident related to the GM ignition problem. Our lawyers handle GM injury lawsuits in California and throughout the United States, and offer no-cost, no-obligation GM injury case review for persons in California who were harmed in recalled Chevrolets, Saturn, and Pontiac vehicles. To discuss your situation in detail with an attorney and to learn about GM injury lawsuit time limits in California, please complete our online contact form. One of our attorneys handling California GM injury lawsuits will contact you promptly. First, a California GM Injury lawsuit can bring real financial compensation to your family for the suffering, damages, and medical expenses that were incurred in a recalled vehicle. Survivors of serious car accidents are likely to suffer from continued medical problems and require care throughout their lives as a result of a GM Injury. Second, a critical mass of GM injury lawsuits against the producers of recalled Pontiac, Chevrolet and Saturn vehicles may be the only way for consumers’ voices to be heard by General Motors. Unfortunately, the threat of major litigation is often the most effective way to pressure a company to take responsibility for the safety of their products and become a better corporate citizen. California GM injury lawsuits may join forces with other claims in a Multi-District Litigation (MDL), bringing individual consumers together to pursue justice and safeguard others against the same dangers in the future. Our attorneys represent GM injury lawsuits in California and nationally, and offer no-cost, no-obligation California GM injury lawsuit case review for persons in California and throughout the United States who were injured in a GM vehicle that was later recalled for ignition problems. If you would like to learn more about California GM injury lawsuits, find out about GM lawsuit time limits that pertain to you, or ask questions specific to your situation, please contact our GM injury attorneys serving California by completing our online contact form. One of our attorneys handling California GM ignition injury lawsuits will contact you promptly. Our attorneys handling GM injury lawsuits in California are often asked if filing a lawsuit against General Motors will bring about meaningful compensation for their family. California GM ignition injury lawsuits are not class action lawsuits, in which each plaintiff can expect to receive only a small settlement. California GM lawsuits will likely join forces with other claims into a Multi-District Litigation (MDL), in which each case will be handled on its own merit and each plaintiff can expect compensation that is determined by their particular circumstance and degree of suffering. Our firm represents all persons involved in a California GM ignition injury lawsuit on a contingency basis, meaning there are never any legal fees unless we win compensation in your case. For a free no-obligation consultation, complete our brief online contact form. One of our GM injury lawyers will contact you shortly to answer your questions as definitely as possible. OnderLaw, LLC is a St. Louis personal injury law firm handling serious injury and death claims across the country. We have represented clients throughout the United States in complex pharmaceutical litigation such as Vioxx, Digitek, Ethex and others, and if you or a loved one was harmed in a recalled GM vehicle we will discuss your situation and answer as many of your questions as possible without any fee or further obligation. Should you wish our firm to represent you in a GM injury lawsuit, we never charge a fee unless we are able to collect for you.